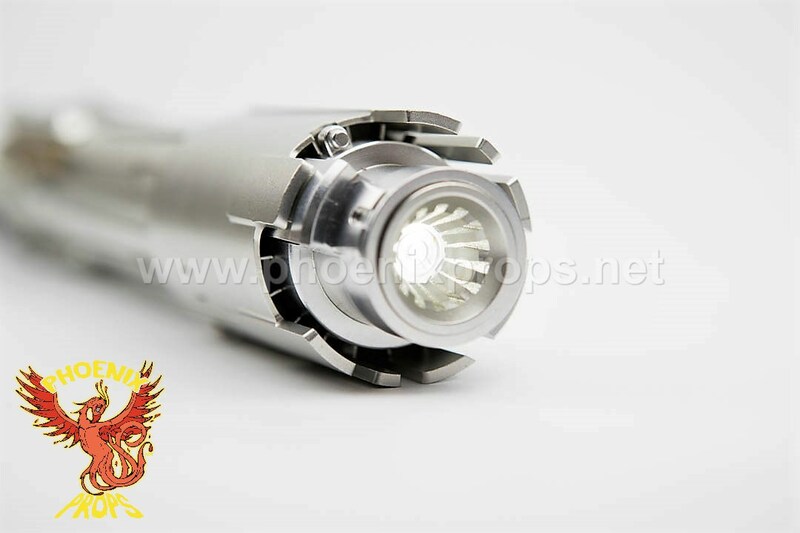 Sign up: Phoenix Props "The Light"
The Light is there to battle the Darkness, eternally. There are times in this struggle when one can overpower the other, this moment is one of them! 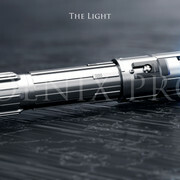 I proudly announce the release of "The Light"
The piece was expertly designed by Gustavo Canales (Crossguard V1, V2) to perfectly replicate the saber seen in the most crucial scenes in EP8, where we see the creation of our newest iconic villain. Professional 3D renders created by Dmitry Shtok. 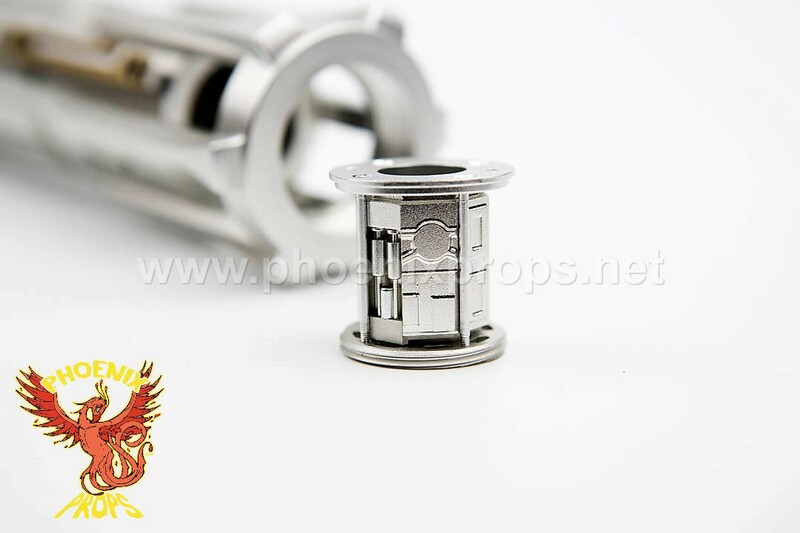 We are very very early in the production, and more details will emerge as they are available. Some assembly will be required once you get the saber. A PDF document showing you how to do this will be made available as well as a listing of all of the tools/supplies you will need to do so. The design is not final, there might be some changes as more details become available. The production timing is made so that we can integrate any new details after the release of the DVD/Blu Ray before going to final machining. Currently in the prototyping phase, estimated completion at the end of this month. 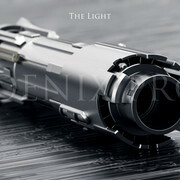 Final Saber kit shipping in August. Full CNC machining from 6061 Aluminium. 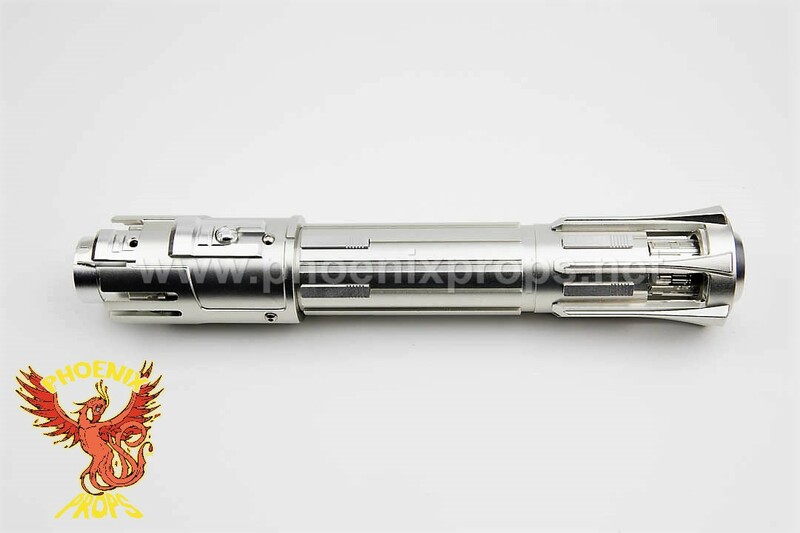 Clear anodizing on the entire saber to protect and replicate the matte silver finish as seen on the screen. Price is 410 Euros, including all paypal transaction fees but not including taxes for shipments within the EU. EU based shipments will have 19% Germany VAT added on top. 100 Euros deposits are due once you sign up. A Paypal invoice will be sent to you within 24 horus after you sign up. 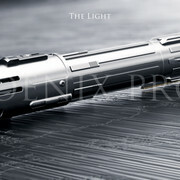 At the start of April when EP8 digital release is out, I will look for any further details on the saber and integrate these into the production version. Once the design is locked, the second 200Euros payment will be collected. 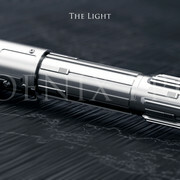 Upon completion of the machining, final payments (110 Euros) plus shipping costs will be due. Final shipment will be on of before August 1st. As before we will be partnering with several other community members to provide chassis, installation, custom displays/name plates and other services as required. If you signed up for 'The Light' and haven't gotten a deposit request, something is wrong. Please contact me. I have quite a few folks who haven't paid their deposit after several reminders and I will be forced to remove you from the list if you do not pay the deposit. All payment requests sent to people on the run. 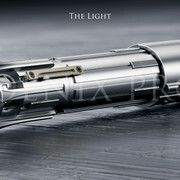 Still space on the run: Phoenix Props "The Light"
We're very close now, and it will still be within summer! The sabers ran into a small shipping delay due to me finding unthreaded holes and endcaps that were much too tight. So I made them go back through each one and fix these. Now the sabers are currently in transit and I'm anticipating the final invoices going out next week once the shipment arrives. I'm a big fan of this hilt! I'd love to see some pictures! Seconded! Post some pictures when you can! Page created in 0.199 seconds with 35 queries.